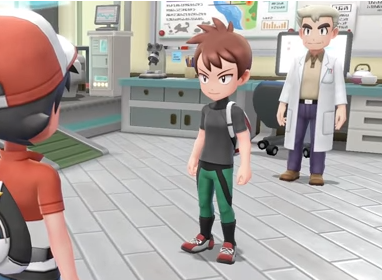 After retrieving Oak's Parcel from the PokeMart in Viridian City, you will need to return to the Pokemon Lab in Pallet Town to deliver it to Professor Oak. After you do, you will again meet up with your Rival. However, this time, your Rival will challenge you to a battle. He continues to only have his Starter Partner Pokemon, having raised it one full level since your journey first began.